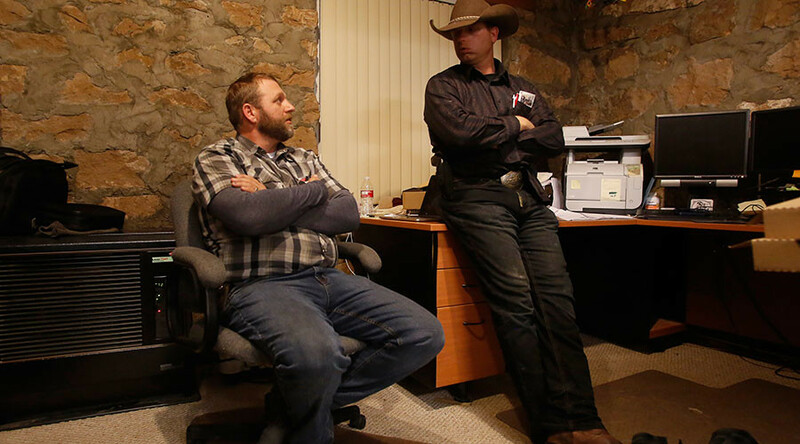 Through their absence in court, Ammon and Ryan Bundy are protesting charges of conspiring and taking up arms against federal agents in the infamous 2014 standoff in Nevada. Others on trial in the same case attended, but shouted oaths of defiance. If Friday’s court appearance for the Bundy brothers and their 15 co-defendants is setting the tone for proceedings, US Magistrate Judgy Peggy Leen may be in for a tough trial. The Bundy brothers were not forced to attend their Friday hearing, but were able to follow proceedings by listening to a speaker placed by their cell. However, the Bundy brothers may be the least of federal prosecutors' problems in the case against the 17 men involved in the April 2014 Bunkerville standoff. The size of the case is a potential issue for the prosecution. They requested to have the men grouped together for three different trials beginning February 6. Judge Leen did not rule on that matter, but she did say that it would be unfair to the 17th defendant who would have to wait months or years to resolve the case, Associated Press reported. Leen said she would release a written scheduling order soon, but did not say when. Ammon and Ryan Bundy are not the only ones refusing to participate in the trial. Their father, Cliven, refused to enter a plea to charges of leading the armed standoff, and a magistrate judge entered a not-guilty plea for him. Defendants in the case are facing charges of conspiracy, obstruction, weapon, threat and assault on a federal officer, according to AP. As a result, they and their co-conspirators could spend years in a federal prison for their involvement in the standoff over grazing rights of farmers on federal property.